The nightlife in Brooklyn is always changing, always recognizing when it needs to be refreshing. That’s the case with Kick Axe, located at 622 DeGraw Street. The first-time bar owners — Ginger Flesher-Sonnier and Darren Sonnier — had only known the escape room industry. But the duo had this idea for a bar that was too good to pass up: an axe-throwing themed bar. Yes, it does sound crazy -- it’s booze and axes involved. But the instant novelty of the idea has catapulted the bar through the stratosphere since it opened. Sonnier employed “axperts” to create a safe setting at the 7,000-square-foot location, and remain within safety regulations. 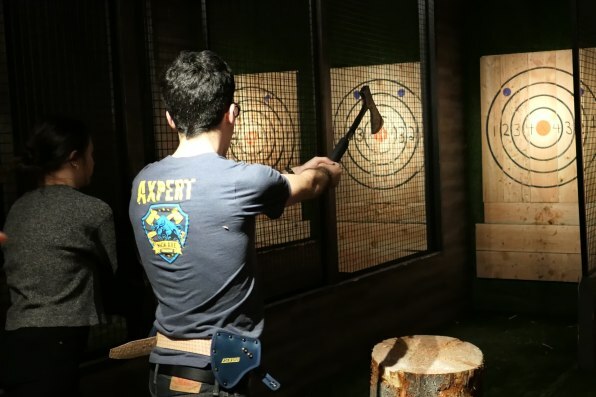 This is the first axe throwing bar in New York City. 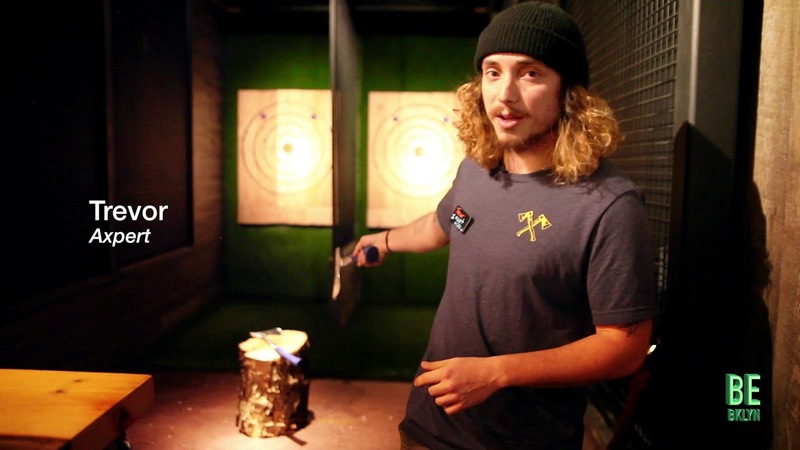 Sonnier told the Brooklyn Eagle that axe throwing has become hugely popular in Canada and believes the bar could evolve into a major player in axe throwing leagues. The owners plan to start league play at the bar sometime in 2018. The bar itself is set up much like a shooting ranging with a lodge-like setting. 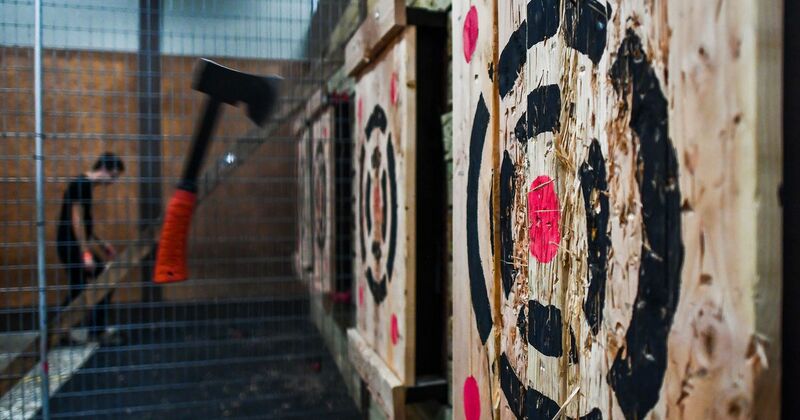 There’s more than 8 axe throwing stations that are separated with netting, and there are targets to hit and you will gain points — just like darts. Even though there’s alcohol being served, the owners of Kick Axe have put a “safety first” attitude as priority. 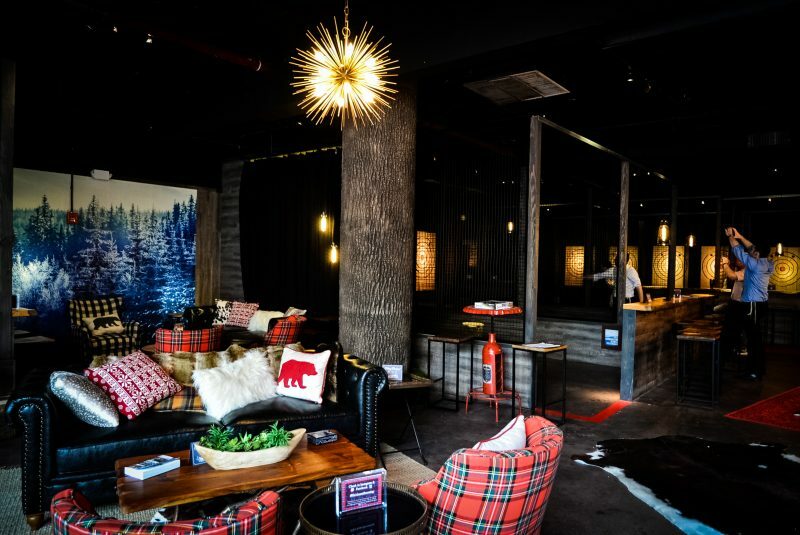 Gowanus has been known for attracting gimmicky — but highly-successful — bars. There’s the Royal Palms Shuffleboard Club that has become a major attraction in the city.